Finally, I know what I want for Christmas. 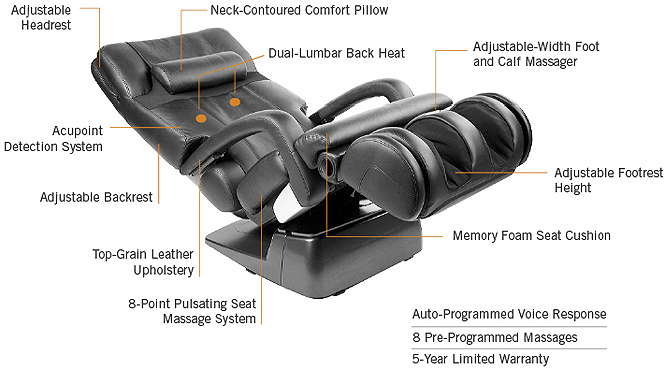 How about a Human Touch HT 7450 Zero Gravity Massage Chair Who needs a glider to sit and nurse the baby in, how about a massage chair? I could sit and relax and get a massage, while Anthony gets some food. I wouldn't mind those middle of the night feedings quite so much. And my aching muscles would definitely love it. I'm lucky that Anthony is a pretty good sleeper, and he will sleep in his bassinet, but when he's awake, he thinks he should be held at all times. If I get a massage chair holding him all the time wouldn't be so bad. Not sure if I'd get anything done though. So Jeff, honey, I want a massage chair, and a maid and a chef, for Christmas. Thanks sweetie!